How do I find my logon name & password for Doubleknot registration? When you register for an Event, Camp, and Training or make a Program Center Reservation, a Doubleknot account is automatically created on your behalf. If you have never made an order through Doubleknot, you will not have a Doubleknot account with logon information, and will need to select “Create New User Profile” or “Continue as a guest” when starting an order to create a Doubleknot account. 1. Go to the GSOC Doubleknot login page; click here. 2. On the Logon page, click “Need Help Logging On?” to go to the “Recover Your Password” page. 3. Enter your email address. If you’re not sure what email address you used, enter the one you use most commonly. If the email address you entered is associated with a logon account, you will receive an email with information on resetting your password. 4. 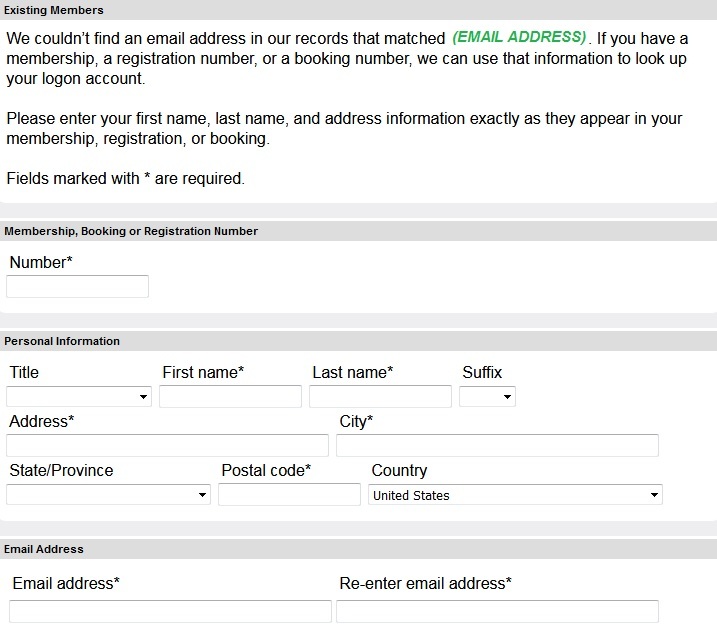 If the email address entered is not associated with a logon account, a page where you can provide detailed information to help locate your account is displayed (see image below). Follow the instructions on that page to identify your logon account. Please note GSOC does not use "membership numbers" in Doubleknot or MyGS. 5. 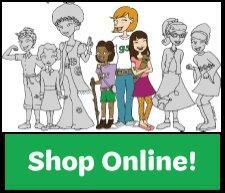 If you still cannot find your logon account for Doubleknot, please email CustomerCare@GirlScoutsOC.org.